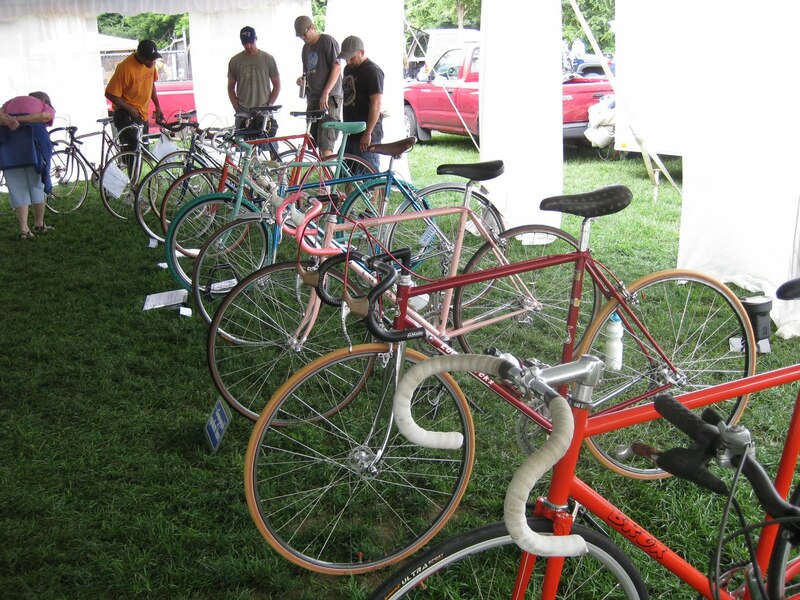 Here is a nice selection of bicycles seen recently at various swap meets around the country. 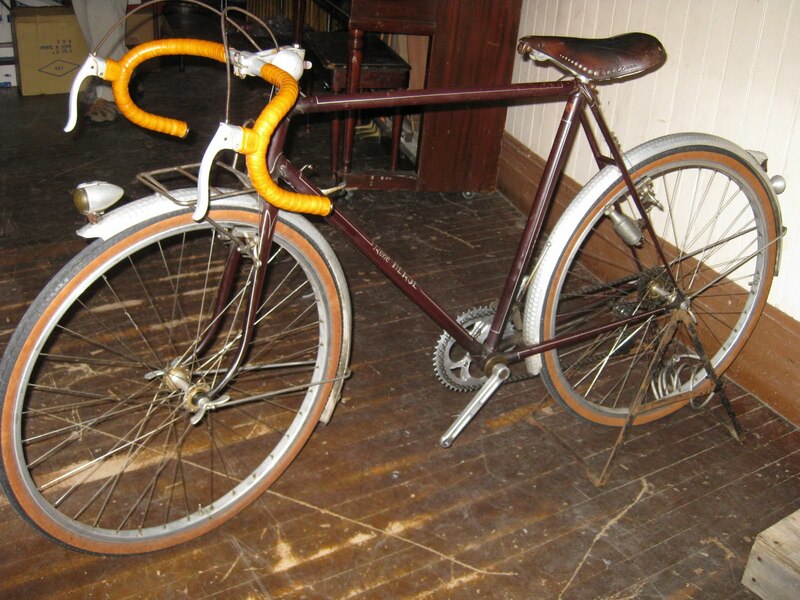 First is a late 1940s-early 1950s Rene Herse bicycle. With Herse proprietary brakes, cranks, stem, Bottom Bracket, Racks and other modifications. 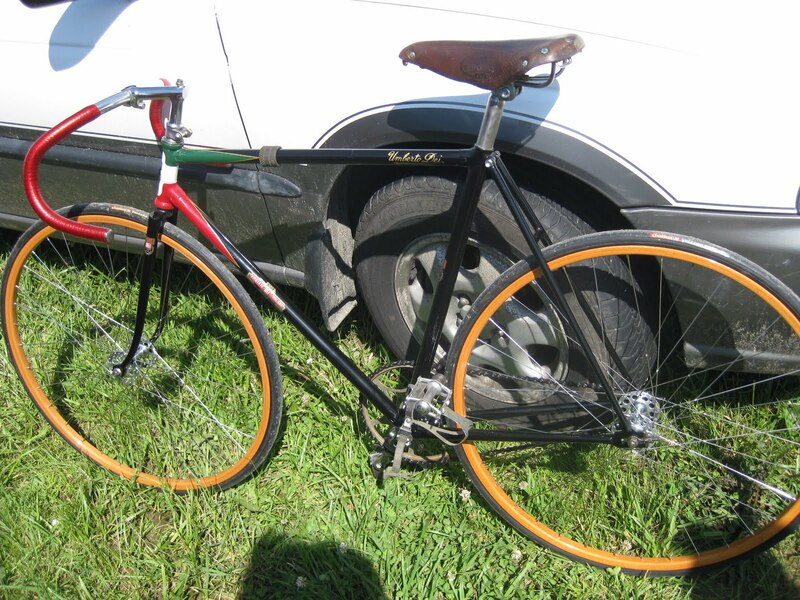 A restored Umbreto Dei track bike. 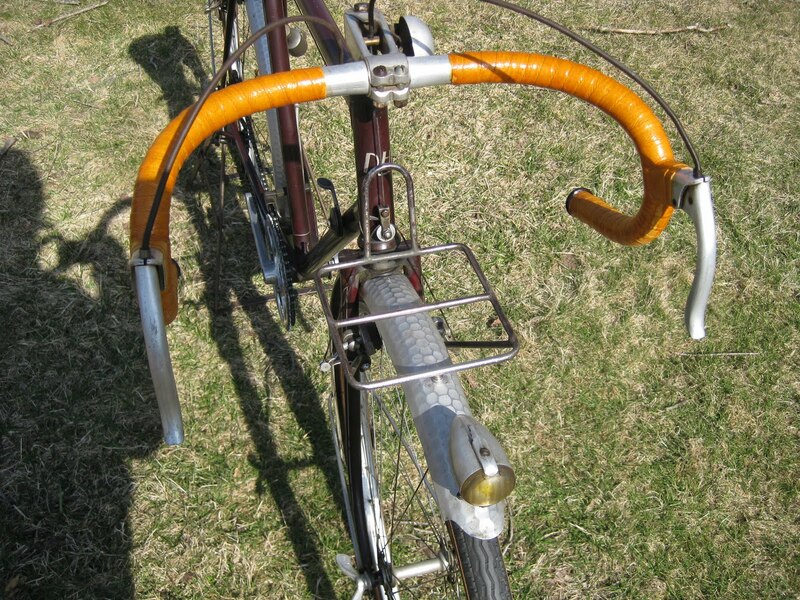 Super Clean early 1970s Schwinn Paramount. it looks like it was never ridden. The pink one is a later Paramount from the late 1980s. 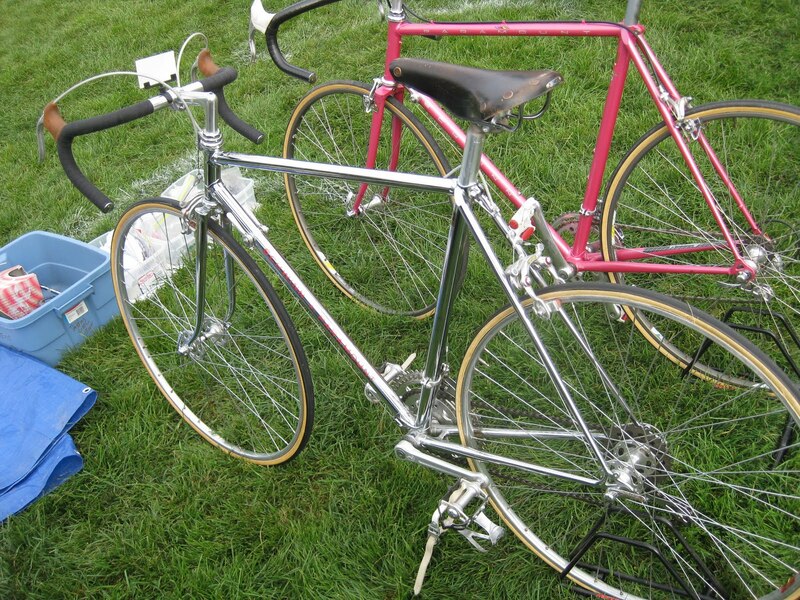 Nice line-up of road and track bikes.